23/7/18 -Tuppence has chosen a new home! Tuppence says hi and will you please adopt me! 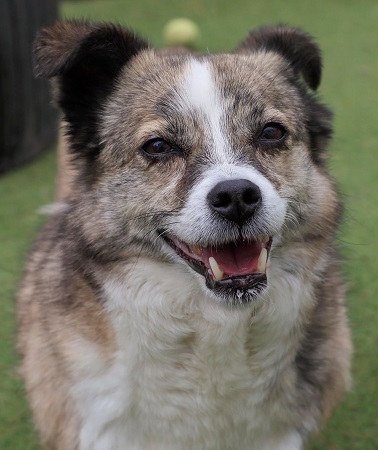 Estimated to be about 10 years old, she is an adorable, unique little cross breed lady. 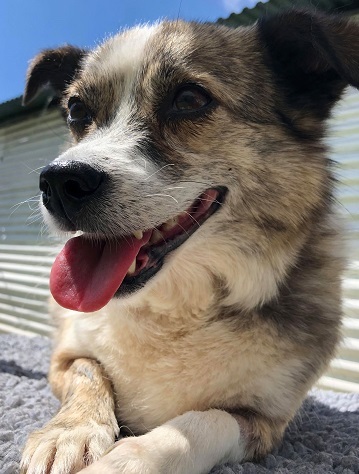 She has come into Love Underdogs’ care and they are helping her to come out of her shell and to find her a perfect home with people who deserve her. 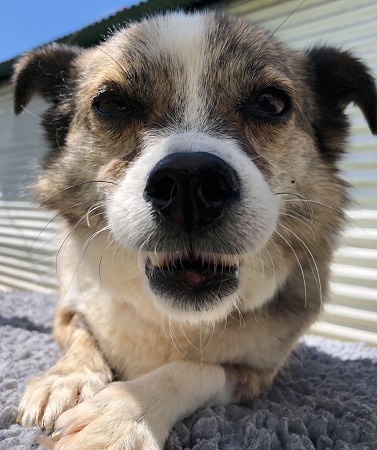 Tuppence was a shy girl when she arrived in rescue, but has been slowly coming out of her shell and daring to be the cheeky, smiley and happy little angel she really is. Once she is comfortable with you, she will play the one game she really loves. All you need to do is strike a play-bow on the floor with her. She will immediately do the same and then bounce around, having a terrific time! This seems to bring her a lot of joy and demonstrates her sense of fun. Aside from her game, Tuppence loves belly rubs. Once you are accepted into her exclusive circle of people she trusts, she will play with you and roll over for a tummy rub. She walks nicely on the lead and enjoys getting out of kennels and exploring. She still has plenty of energy and keeping her active is a great way for her to enjoy herself while keeping her weight down. Tuppence needs patient and understanding owners who will allow her to get over her initial shyness at her own pace. It seems like she may be a bit possessive with her people and would probably prefer not to share them with another dog. She doesn’t mind meeting other dogs while she is out. 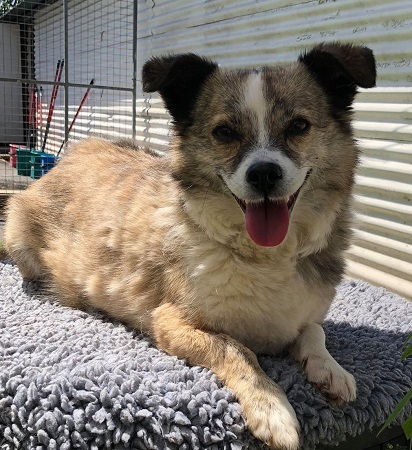 Tuppence couldn’t have had an easy life so she really deserves to be pampered and cherished in a loving home where she can gain the confidence she needs to discover her inner sense of fun and joy for life. 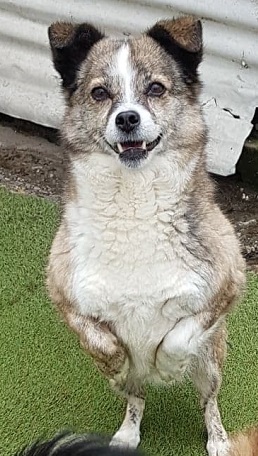 Being older and shy means she would do best in an adult home. If you are looking for a lovely, special and sweet dog who will brighten your life, please consider Tuppence. She has so much to offer and is asking for so little – are you her special person? Please mention that you saw Tuppence on the Oldies Club website.